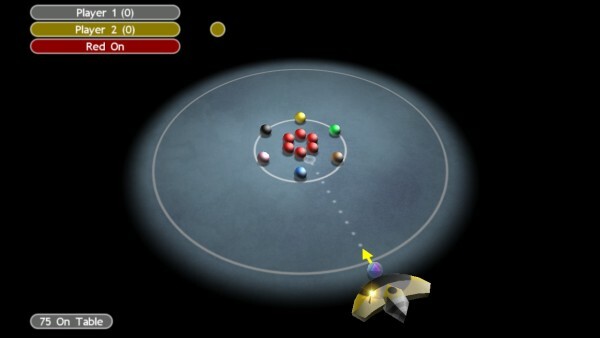 Future Snooker is a tactical game that requires thought and skill. Use the optional aiming guide to hit a ball off the table to 'pot' it but make sure you hit the right ball or you'll end your turn. As in real snooker, take care to place the cue-ball in the best place for your next shot. Play with one to six players or against the computer in a solo game, single match, or six player tournament. The rules are similar to conventional snooker and an in-game tutorial is provided.